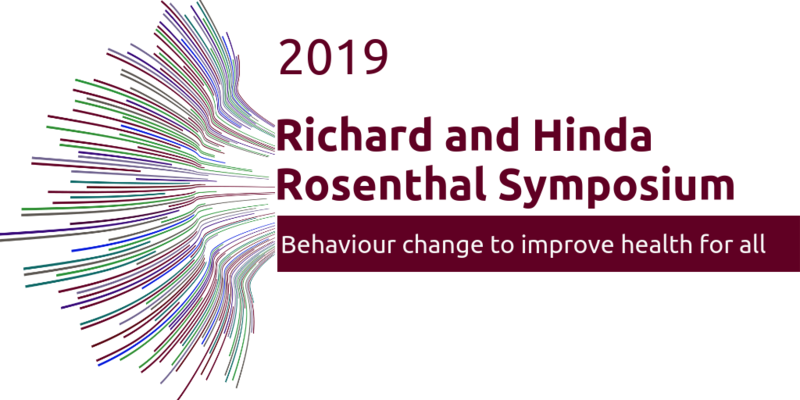 On January 17, 2019, the National Academy of Medicine and the U.K. Academy of Medical Sciences will co-host the 2019 Richard & Hinda Rosenthal Symposium, titled ‘Behaviour change to improve health for all.’ The event will take place at the Wellcome Collection in London from 9:45am until 5pm (local time), followed by a networking reception until 8pm. The meeting is free to attend but booking is essential—please register by visiting this page. • The neurobiology of behaviour and decision making, and how developing knowledge could translate into more effective interventions. • Lessons learned from examples of successful interventions that have targeted the physical, social, and/or behavioural environments to alter behavioural patterns and reduce health inequities. • The potential roles for emerging technologies and complex system approaches to encourage healthy decision-making and improve the health of populations. A further aim of the symposium is to foster and strengthen scientific partnerships between the UK and US, enabled by the meeting and a networking reception. More information about the symposium, including a full agenda and speaker list will be provided in due course. If you have any questions in the meantime, please contact Dr Rachel Brown, Senior Policy Officer at the Academy of Medical Sciences (Rachel.brown@acmedsci.ac.uk).